Dr. Qiuliang Wang otained his Ph.D. degree from Institute of Electrical Engineering, Chinese Academy of Sciences, China and then pursued his Post-doc from Faculty of Engineering, Kyushu University, Japan. 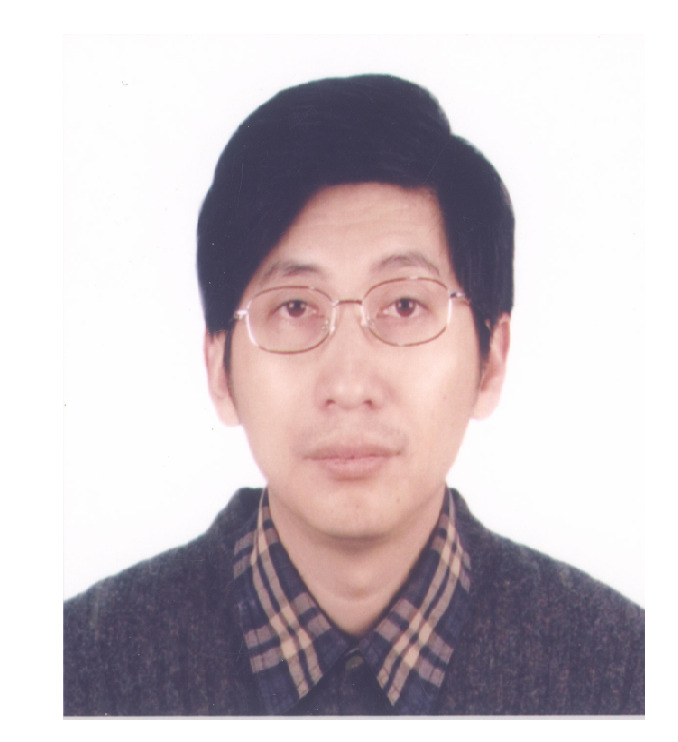 He worked as an Associate Professor in Huazhong University of Science and Technology, China. He has published SCI papers more than 280, and 154 patents in China and 15 patents in USA. He has established broad collaboration in the world, including the USA, Europe, Japan, Korea, and Australian. He has attended exchange program between China and Australia for two times, and has long time collaboration with the Institute for Superconducting and Electronic Materials, UOW, Faculty of Electrical Engineering, UOQ, CERN, MIT and National Fusion Center of Korea. Currently he is the Head and Professor in the Division of Superconducting magnet science and Technology, Institute of Electrical Engineering, Chinese Academy of Sciences, China. Mass spectrometry; MS; NMR and MRI; Scientific Instrument; Biomedical Engineering; Magnetic separation and large scale Applied Superconductivity. 1. Liang Lan, Jianbo Yu, Zhigang Yang, Chuanjun Li, Zhongming Ren, Qiuliang Wang,"Interfacial microstructure and mechanical characterization of silicon nitride/nickel-base superalloy joints by partial transient liquid phase bonding", Ceramics International, 42(2016)1633-1639(IF2.605). 2. Yi Li; Qiuliang Wang; Shousen Song; Yuanzhong Lei; Junsheng Cheng; Shunzhong Chen; Baozhi Zhao; Yinming Dai; Zhipeng Ni; Xinning Hu. "Analysis of Damage by Quench and Improvements in Rewinding for a 9.4-T Superconducting NMR Magnet," IEEE Trans. on Appl. Supercond., Vol. 26, Issue: 1, Article: 4300105, 2016. 3. Xia Kong, Minhua Zhu, Ling Xia, Qiuliang Wang, Yi Li, Xuchen Zhu, Feng Liu, Stuart Crozier," Passive shimming of a superconducting magnet using the L1-norm regularized least square algorithm," Journal of Magnetic Resonance 263 (2016) 122–125. 4. Jie ZENG, Weiqing CHEN, Senlin ZHANG, Yi LI and Qiuliang WANG,"Development and Application of Final Permanent Magnet Stirring during Continuous Casting of High Carbon Rectangular Billet",ISIJ International, Vol. 55 (2015), No. 10, pp. 2142–2149. 5. Qiuliang Wang; Shunzhong Chen; Yinming Dai; Baozhi Zhao; Shousen Song; Yi Li; Hui Wang; Housheng Wang; Xinning Hu; Jianhua Liu;Chunyan Cui; Zhipeng Ni; Lankai Li; Lei Wang; Luguang Yan;Junsheng Cheng; Houcheng Huangï¼ŒDesign and Fabrication of a Cross-Warm-Bore Split-Gap Superconducting Magnet System". IEEE Trans. on Appl. Supercond., 25(2015)4900905. 9. Zhigang Yang, Jianbo Yu, Chuanjun Li, Yunbo Zhong, Weidong Xuan, Zhongming Ren,Qiuliang Wang, Yinming Dai, and Hui Wang,"Preparation of textured porous Al2O3 ceramics by slip casting in a strong magnetic field and its mechanical properties", Cryst. Res. Technol., 1–9 (2015). 10. L.Li, J.Cheng Z.Ni, H. Wang, Y.Dai, Q.Wang,"Preliminary mechanical analysis of a 9.4-T whole body MRI magnet", IEEE Trans. on Appl. Supercond., Vol:25,No: 2, JUN 2015,Paper number: 4400207. 11. Xia Kong, Minhua Zhu, Ling Xia, Stuart Crozier, Qiuliang Wang, Zhipeng Ni, Feng Liu," A novel passive shimming method for the correction of magnetic fields above the patient bed in MRI",Journal of Magnetic Resonance 257 (2015) 64–69(IF=2.33). 13. Wang, L; Wang, QL; Wang, H; Hu, XN; Yan, LG,"Analysis of Current Distribution in Bi-2223/Ag Insert Pancake Coil", IEEE Trans. on Appl. Supercond.,Vol: 25,No: 3, JUN 2015,paper number:: 4900806. 14. Wang, QL; Liu, JH; Song, SS; Zhu, G; Li, Y; Hu, XN; Yan, LG,"High Temperature Superconducting YBCO Insert for 25 T Full Superconducting Magnet", IEEE Trans. on Appl. Supercond., Vol:25,No: 3, JUN 2015,Paper number: 4603505. 15. Li, LK; Cheng, JS; Ni, ZP; Wang, HS; Dai, YM; Wang, QL,"Preliminary Mechanical Analysis of a 9.4-T Whole-Body MRI Magnet", IEEE Trans. on Appl. Supercond.,Vol: 25,No: 3, JUN 2015,Paper number: 4400207. 16. Tianxiang Zheng, Yunbo Zhong, Zuosheng Lei, Weili Ren, Zhongming Ren, Hui Wang, Qiuliang Wang, Franois Debray, Eric Beaugnon, Yves Fautrelle,"Effects of high static magnetic field on crystal orientation and magnetic property of Bi-5 wt.% Zn alloys,"Materials Letters, Volume 140, 1 February 2015, Pages 68-70(IF=2.49). 17. Shunzhong Chen, Yinming Dai, Baizhi Zhao, Yi Li, Kun Chang, Yuanzhong Lei, and Qiuliang Wangï¼Œ"Fabrication and Test of an 8-T Superconducting Split Magnet System With Large Crossing Warm Bore," IEEE Trans. on Appl. Supercond., Vol. 25, No. 1, Feb. (2015)4900105. 19. Qiuliang Wang, Hui Wang, Jie Zheng, Yinming Dai, Xuchen Zhu, Qun He, Junsheng Cheng, Shunzhong Chen, Shousen Song, Baozhi Zhao, Chunyan Cui, Yi Li, Housheng Wang, Lankai Li, Zhipeng Ni, Zhongkui Feng, Luguang Yan, and Jianyi Xu, "Open MRI Magnet With Iron Rings Correcting the Lorentz Force and Field Quality, " IEEE Trans. on Appl. Supercond., 24(2014),4402305(IF=1.324). 20. Yi Li, Q. Wang, S. Chen, B. Zhao, Y. Dai, "Experimental investigation of the characteristics of cryogenic oscillating heat pipe,"International Journal of Heat and Mass Transfer 79(2014)713–719 (IF=2.5). 22. Zhipeng Ni, Geli Hu, Qiuliang Wang and Luguang Yan, “Globally Optimal Superconducting Homogeneous Magnet Design for an Asymmetric 3.0 T Head MRI Scanner,” IEEE Trans. on Appl. Supercond., 24(2014), 4400705(IF=1.324).